One Survivor: David vs. Goliath castaway made Survivor history when a new Secret Advantage was introduced. For 37 seasons, Survivor has had one all-powerful entity, no matter the twists and turns in the game. No, not Jeff Probst (though he's close)! It is, of course, the Immunity Idol in all of its forms. 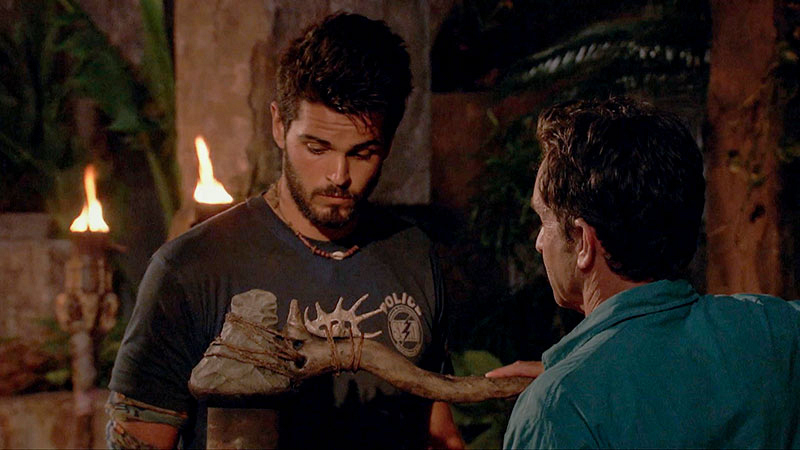 But that all changed in the latest episode of Survivor: David vs. Goliath, where the Idol Nullifier found by Carl was successfully played, rendering Dan's Idol inert. In conjunction with Nick's Vote Steal Secret Advantage, the Davids concocted an impressive strategic move that sent Dan home packing despite having played Hidden Immunity Idol. 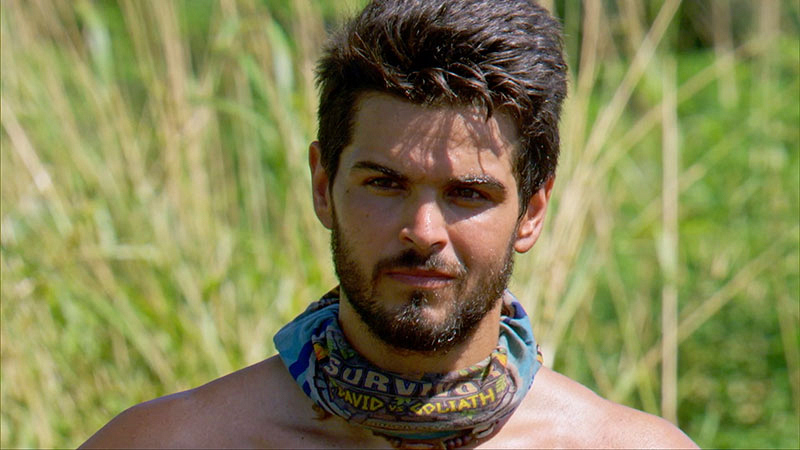 It was an unprecedented Survivor Tribal Council, and we caught up with the latest cast-off to talk about that brutal blindside, how the Nullifier changes the game, and what his proudest moment was. 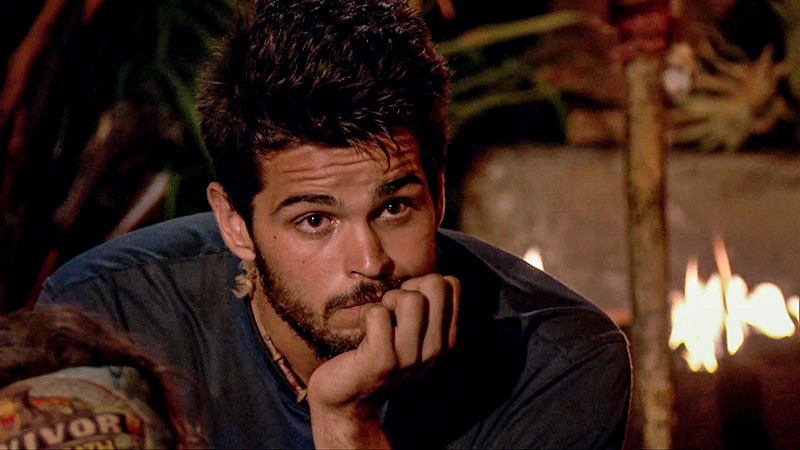 Did you have any inkling at all about those Secret Advantages that were floating around before going to Tribal Council? Dan Rengering: Oh no. I had no clue, man. I was completely caught off guard by all that happened there. Especially the Nullifier. That one really caught me off guard. Now you have this distinction of being a part of Survivor history thanks to the Nullifier and being the first player impacted by it. 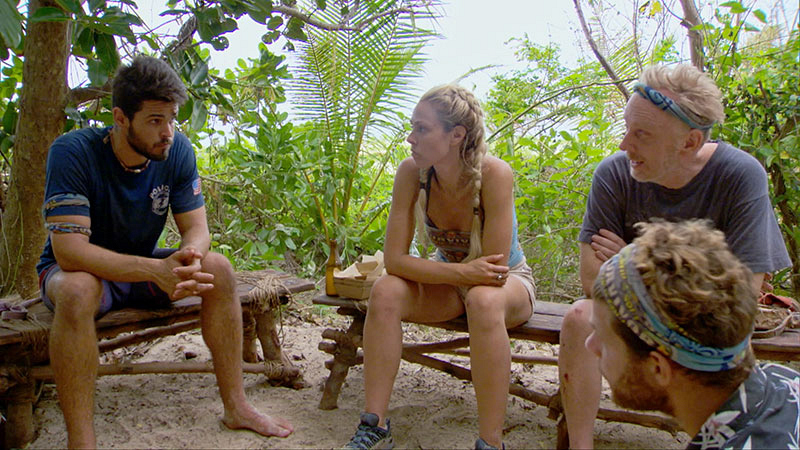 Do you think that it could become a big part of the strategy for future castaways? Dan: Oh, yeah. It has to. It's a part of the game now. As brutal as it was for me, it creates a whole different strategy and things you have to think about. Everybody had been prepared for Idols and other Secret Advantages like the Vote Steal, but nobody was prepared for the Nullifier—especially me. So, yeah I definitely think it's going to be a big part of the game. Obviously the Nullifier ended your game, but is there a part of you, as a fan, that was excited by its introduction? Dan: Oh yeah. As a fan, you're sitting at home watching and going, "Wow, that is awesome." No longer is an Idol sacred. It just changes the game completely. So as a fan, yeah, I think it'a super rad. Super awesome. You actually managed to only go to Tribal one time, for the Jeremy vote, before the Merge—did the stakes feel higher once you were going as one Tribe? Dan: Yeah, the stakes felt higher at that point. I felt a little less prepared than everybody else who had been at least twice. At the Merge, it's a bigger deal. You get to be a part of the game forever, but it's much closer to making it to the end. So the stakes are definitely higher. We saw you hit it off with Kara very early on. Why do you think you guys connected so quickly? Dan: I don't know, we just kind of clicked. Conversation was easy, she was easy to talk to. She was just the person that I clicked with immediately and the person I trusted the most in the game. I was able to talk to [her] and talk things out. That's just what I do in my personal life. When I have a big decision to make I talk things out with the people that I trust and everything. She was the person I did that with. Watching the season back, is there anything specific you've seen that you could've or should've done differently? Dan: Oh, man. There are hundreds of different things. All kinds of things I could've done differently. I could've not told [Kara] about my second Idol, that's one of the big things. Played a better social game. Talked to the Davids a lot more than I did. Once the Merge happened, I was like, "Oh, we've got the numbers. We're locked in." But that wasn't the case. 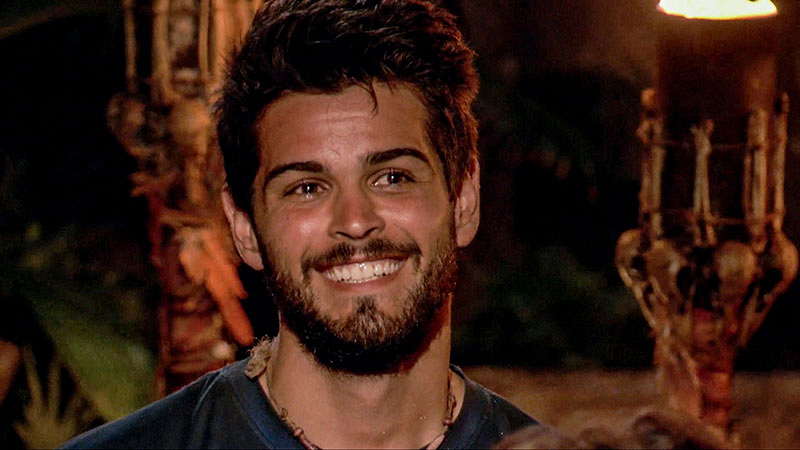 Do you think things would've played out differently if you hadn't used one Idol on Angelina or told anyone that you had another? Dan: No, honestly, I don't think it would've changed anything. From talking to Christian after the game, Carl was bound and determined to play the Idol Nullifier and they were coming after me at that point no matter what. So I don't know that it would've changed anything at all. What are you most proud of in the way you played the game? Dan: The thing I'm most proud of, probably, is I'm glad I didn't have to lie or backstab anybody or anything like that. From what I remember, and from what I've seen, when I told somebody what I was going to do, I did it. Whether I wanted to or not, I made it happen. I'm pretty proud of that. That's not an easy thing to do in this game. How did you expectations of playing Survivor stack up to the real thing? Dan: Oh, man. One of the things that got me the most was, I didn't expect anybody to be digging through my stuff. That was something, in all my watching Survivor, I don't ever remember seeing somebody do that. I'm sure somebody has, but that was kind of a big, disappointing thing for me. I hold people to a high standard and expect them to be good, decent people. That wasn't necessarily the case. You expect people to lie to you and vote you out when they say you're safe, but I didn't expect anybody to be digging through my stuff. 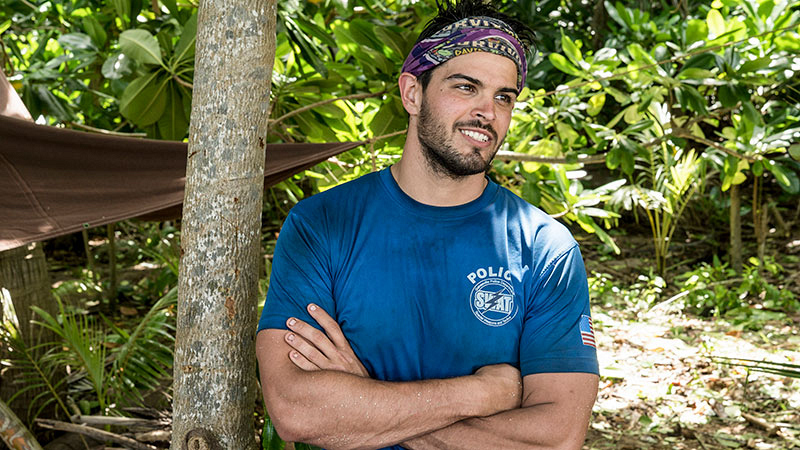 What did you learn about yourself during your time on Survivor? Dan: I learned to be a lot more self-aware. Especially watching it back. Because in the game, in the moment, I didn't see myself as a huge threat. Even watching back, I didn't really see myself as a huge threat that everybody wanted to take out. It didn't completely click to me. So definitely trying to be more self-aware now. 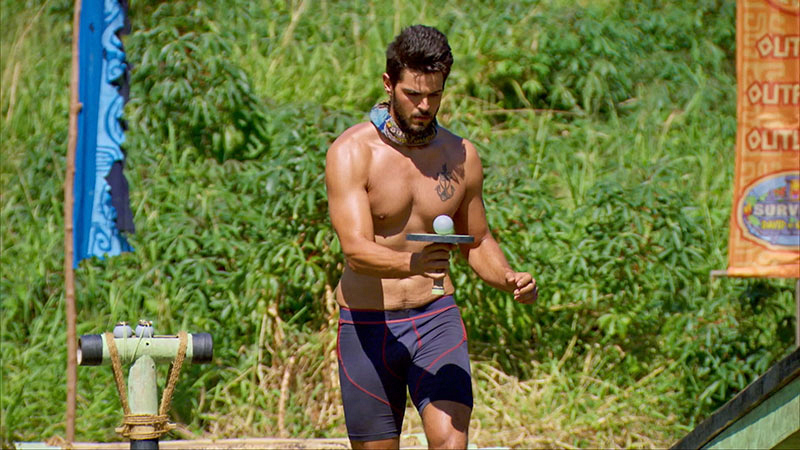 Watch all-new episodes of Survivor: David vs. Goliath on Wednesdays at 8/7 on CBS and CBS All Access.